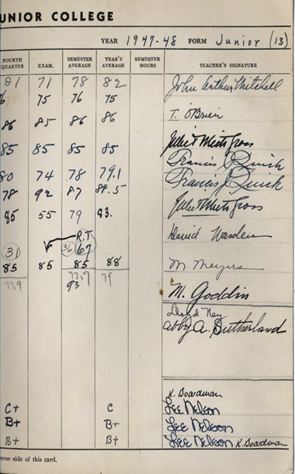 Scholars at the Penn State Library System graciously shared this Ogontz College report card with Francis J. Quirk's signatures on it. With loopy flourishes his artistic flair shows through. Ogontz College Report Card signed by Francis Quirk.